Planning for a disaster is a complicated business. There are professionals who spend their whole careers doing this, working for government agencies at all levels or even for large corporations. For them, it is a full-time occupation. But you and I have to do this ourselves, in what time we have available to us, if we want to take care of our families. So, it’s not surprising that we make a few mistakes in our plans. While that is obviously something that we should want to avoid, none of us is perfect. We’re going to make mistakes. The only thing we can hope for, is that when the time comes, we can overcome those mistakes. Practice and dry runs can go a long way towards mitigating the effects of those mistakes. But they can’t fix a mistake with things that fall outside the realm of our plans or which are part of our fundamental assumptions. Those will be carried through our dry runs, because we will use the same assumptions to generate the scenario for our trail run, as we use to create our plans in the first place. Probably one of the most common places where we make this mistake is right at the beginning of our plans. 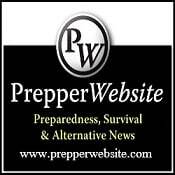 Just about every survival plan I look over starts out with everyone in the family at home. However, unless the disaster strikes in the middle of the night, when we are all asleep, or happens in such a way as to give us lots of advance warning, such as the coming of a hurricane, chances are, the family won’t be at home. Our modern lifestyle has us running every which way. Both parents usually work outside the home, kids have their school and after school activities and in-between times, we’re all running errands hither and yon. It is rare to find the modern family all together, at home, as we would ideally like when a disaster strikes. This single item can invalidate all our planning efforts. Remember, the idea behind having a plan is so that you don’t have to think it through when the disaster strikes. But if the family is not all home and your plan starts with that assumption, you won’t be able to start executing your plan. Rather, you will be forced to improvise in the one moment when your mind will be the least able to handle that improvisation. Even so, you don’t need to throw out your existing plan. What you need to do is back up the clock on it a bit and pick a new starting point; the point of gathering your family together at your home. That needs to be the very first thing you do, when any disaster strikes. Developing your family’s get home plan may very well end up being the most complicated part of your disaster planning. That’s because of all the variables involved in it. You may find that you actually need several different plans for each member of the family, depending on their various activities and where those activities take place. Ideally, everyone in your family would be able to make it home on their own from their various activities. But if you normally have to drive your kids to an activity, don’t count on them making it home on their own. Rather, you need a plan to help them get home. To start with, make a list of each place that each family member frequents and when they frequent those places. That will become the list of different plans that you have to create. Somehow, you’ll have to integrate the needs of each family member together, so that those who need to be picked up can be picked up and those who have transportation available know what to do. The obvious first places to work on are those where you spend the most time, work and school. If your children’s school is within walking distance from home, then their primary plan should be to walk home. How they do that and what route they take needs to be clearly specified. That way, if one of the family’s drivers is able to swing by and pick them up, they’ll know where to look for them. Giving the kids the responsibility of getting home on their own also requires giving them the means to do so. It might make sense to allow them to ride their bikes to school every day, if that will make it easier for them to get home in the case of an emergency. But, their first problem won’t be getting home, it will be in getting away from school, which will probably mean them “ditching class” and sneaking off campus. You need to make sure they not only know how to do that (even though most parents don’t want their kids to know how to ditch class) and when it is acceptable for them to do so. They need to know that you’ve got their back, if they have to head home in an emergency. Who picks the kids up is the next question. I’m sure you already have a regular schedule, where you have determined whether mom or dad takes kids to their various activities and picks them up. But that might not work in a disaster situation. If one parent works on the other side of a river, then the other parent needs to be the one to pick up the kids, even if they work farther away and aren’t the one who normally does so. Make similar plans for each activity that each family member undertakes. Be careful to make sure that you integrate those plans. In other words, if the kids are expecting to be picked up, make sure that the adult plans include details about when, where and how they will be picked up. Another important aspect of this is developing a communications plan, so that everyone knows it’s time to get home. The easiest way to do this is with a group text message. But that should be followed up with phone calls, verifying that each person got the message. You want to use redundancy here. Each person who receives a call should follow up by calling another family member, in a pre-determined pattern, to make sure that everyone receives at least two calls. Additional calls to coordinate pickups may be needed as well, to coordinate meeting locations and times, especially if those have to change in some way. The other thing that each family member will always need to have with them is the necessary gear and supplies to get home. This should be part of their EDC (everyday carry). The trick here is to have everything they need, without it becoming so cumbersome that they leave their get home gear at home. Typically, parents work farther from their homes, than their kids’ schools. So the get home kit for a parent would probably be more extensive than what the kids need. Of course, they’ll also have a car to keep their kit in, so carrying more shouldn’t be a problem. How much gear you might need to have, in order to get home, would depend on how far you work from your home and what obstacles you might encounter. Assume the worst and plan for it. That might mean having to walk home 20 miles. If that’s the case, keep some good walking shoes in the car. Another potential problem would be crossing a river, if the bridge is down. It’s not unreasonable to carry a small rubber raft or at least an inner tube and a pump in the trunk of the car, to get across that river. Of course, your EDC kit will have some of the basic things you need to survive. All we’re really doing is to expand on that, working from a worst-case assumption of trying to get home in a disaster. If the possibility exists for a problem, assume it will happen and be prepared.